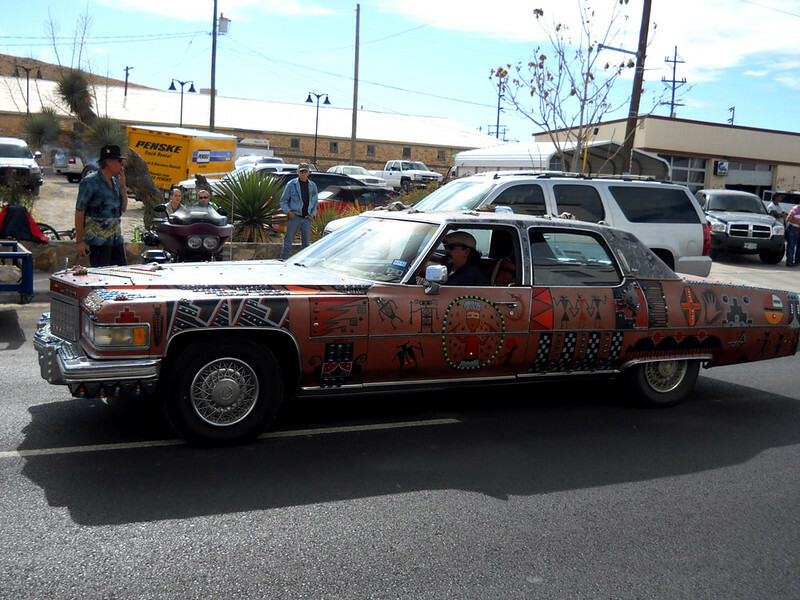 The art car is a very popular item out here in the Big Bend area. Anything quirky works. This little parade happened during Artwalk in beautiful downtown Alpine, Texas. These guys know how to party. Or is this a Lincoln? I don't know my high-end cars too well.